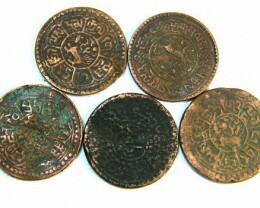 Tibetan coins started in ancient tim es, Tibet had no currency of its own. 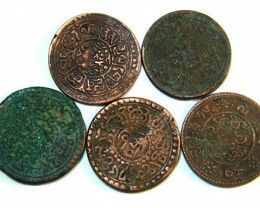 Bartering was common use of receiving goods, gold was an average of exchange, shell money and stone beads were used for very small purchases. 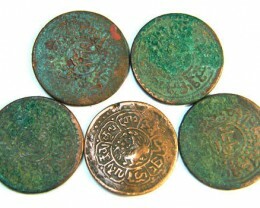 Coins from other countries were also occasionally in use such as in the 17th century silver coins were supplied by Nepal . In the late 18th century the Chinese helped produce the first mass production of silver coins. This lasted until the early 19th century. 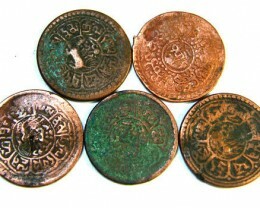 In 1840 the first purely Tibetan coinage was struck and this coinage continued being made until 1954, with only two short interruptions when Sino-Tibetan coins were issued. 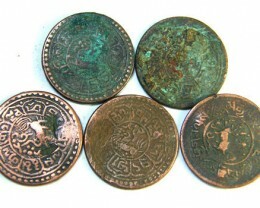 In 1910 the Tibetan Government started producing a large range of copper and silver coins of different denominations, and in 1918 to 1921, gold coins were struck. 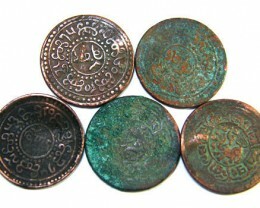 Tibetan banknotes were first issued in 1913. 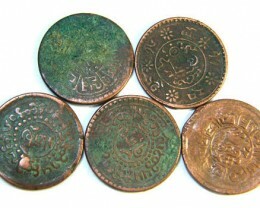 From 1955 to 1959 no more Tibetan coins were created, although banknotes were still being printed, and by 1959 all of the money was gradually being replaced entirely with Chinese currency.